When Grandma Grace’s Thanksgiving bowl—used for holding the annual “I Am Thankful For” lists of the family—topples off the table after another successful Thanksgiving meal, it becomes a useful found object for all who encounter it. From one season to the next, the bowl makes its way upstream and downstream, through sandboxes and snowstorms, carrying goodwill and creative inspiration and teaching the true meaning of Thanksgiving to animals and humans alike. 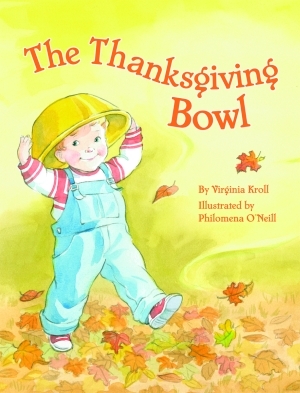 Filled with warm and whimsical illustrations that evoke the bowl’s offerings of joy and gratitude, this book was inspired by the sight of a plastic yellow bowl blowing across the street one evening as the author drove home from church. 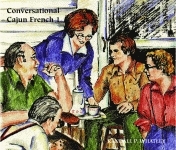 Virginia Kroll is a prolific writer, with over sixty books published since 1992. A full-time author and speaker as well as a writing instructor with the Institute of Children’s Literature, she writes on topics ranging from African folktales to universal themes such as siblings and heroes. She has received a long list of awards, including the 1998 Benjamin Franklin Silver Award for a parenting book, the Bank Street College Best Children’s Book of the Year in 2004, and the International Reading Association/Children’s Book Council 2004 Children’s Choice Award. Philomena O’Neill has been illustrating books and magazines for children since the early 1990s. Working primarily in watercolor and liquid acrylic, she is best known for her ability to render children and animals with character and gentle humor. Born in Ireland and raised in West Africa and Canada, Ms. O’Neill is a first-time illustrator with Pelican. 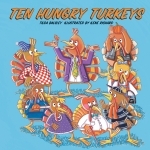 Book to gobble up this Thanksgiving!